REICH SHIPPING SOLUTIONS was established with the objective of providing professional & trained services to the Global Maritime Industry. 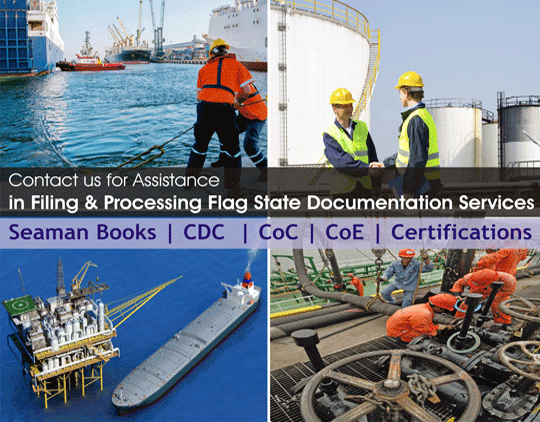 Reich has gained recognition as one of the leading Seafarers Documentation Filing Agents for Flag State Documentation for providing quality services to ship owners, shipping operators, manning companies and Individual applicants with filing and processing seafarers documents that are compliant to the current STCW and MLC requirements. Our company is managed by a dedicated and seasoned team of professionals from the Maritime & Manning Industry which collectively brings along immense domain expertise and a profound understanding of the International Regulations, Legislations and Conventions with regard to Human Capital, Maritime and seafarers documentation. Our focus is always to extend high quality services to our valued customers through well-defined processes. We believe that we are dynamic team, embracing technology while maintaining high quality standards of professional ethics and strong relationships with our clients. To be a front-runner Global Services Specialist, valued by our Principals, Ship Owners, Ship Managers, Manning Companies, Individuals, Team Members and Community at large with swift, efficient and attentive customer service experience in filing and processing flag state documentation services for Seafarers Documentation. At Reich Shipping Solutions, our mission is clear and unequivocal; Deliver high quality and cost effective solutions on time, thus procuring the trust and confidence of all our stakeholders. Do it right the first time, every time and exceed expectations.